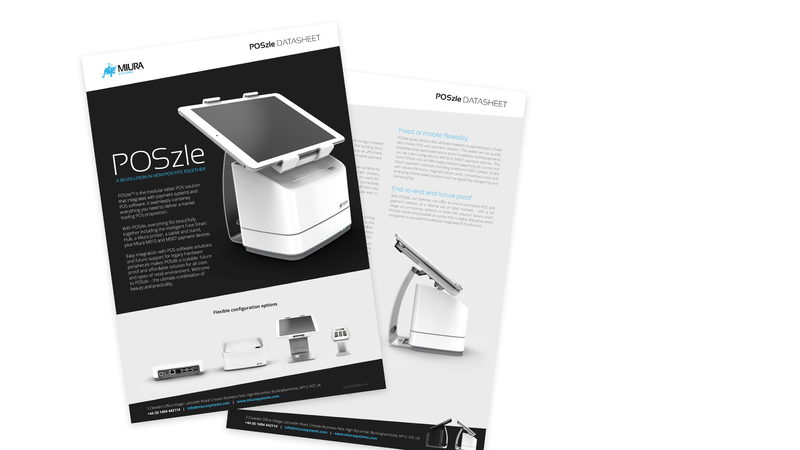 POSzle is a modular tablet POS hardware bundle, with integrated payment, that seamlessly brings together everything you need to deliver a leading POS solution that works ‘out of the box’ and with a smart tablet of your choice. With POSzle, everything fits beautifully together, thanks to the connectivity of the Fuse Smart Hub with Fuse API. 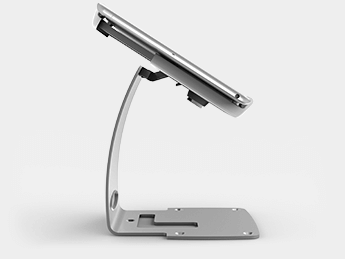 Its unique modularity ensures easy integration with POS software apps and future support for legacy hardware peripherals, providing a POS hardware solution that is both scalable and future-proof. 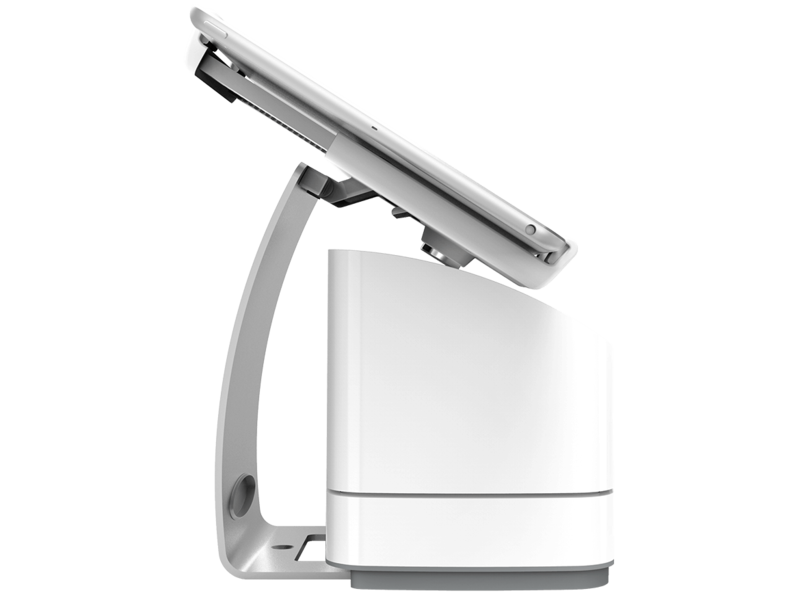 PSPs and POS software applications require flexible low-cost hardware to integrate smart tablets with other POS peripherals such as barcode scanners, receipt printers and cash drawers. 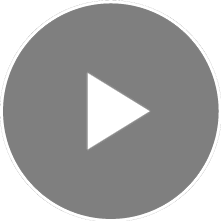 POSzle significantly reduces the cost and complexity of connecting and managing a POS hardware ecosystem through a tablet, giving increased control and improved connectivity of peripherals via Bluetooth and/or wired. Fuse Smart HubAt the heart of POSzle is the Fuse Smart Hub that brings security, modularity and control to the point of sale. Receipt PrinterA robust industry standard thermal printer with the added value of great design, that will fit unobtrusively into any retail space. Integrated Tablet StandA great looking stand in powder-coated steel that safely secures any tablet with its unique rapid-fit mechanism. M010Mobility at the counter-top or taking payments around the store, the Miura M010 delivers true versatility. Introducing the Fuse Smart Hub and Fuse SDK. The Fuse Smart Hub integrates and powers multiple peripherals, including a Miura printer, Miura PIN Entry Devices and 3rd party cash drawers and scanners. It’s ready for the future with a range of physical ports and multiple connectivity modes. Together with the Fuse SDK and Fuse Retail API, it’s the beautifully simple way to integrate and manage a powerful tablet POS solution. Consumers expect fast and efficient service in-store, and that includes payments. Help in-store staff provide improved purchase experiences. 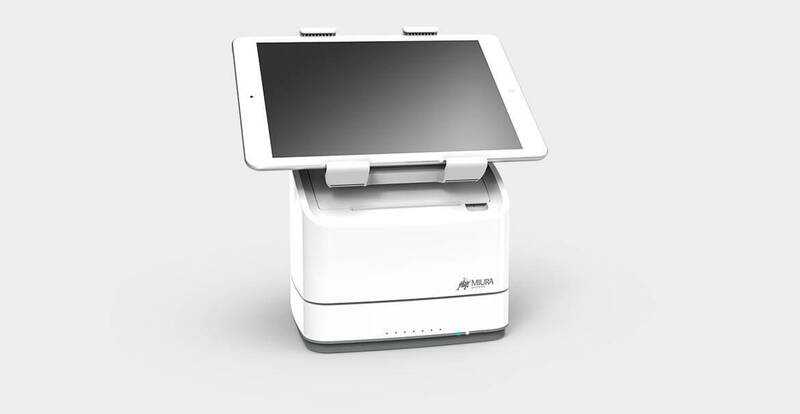 Take payments from a fixed point of sale or unlock the tablet and PED to serve anywhere in-store. And do it all through one intelligent, connected Smart Hub with Fuse technology.